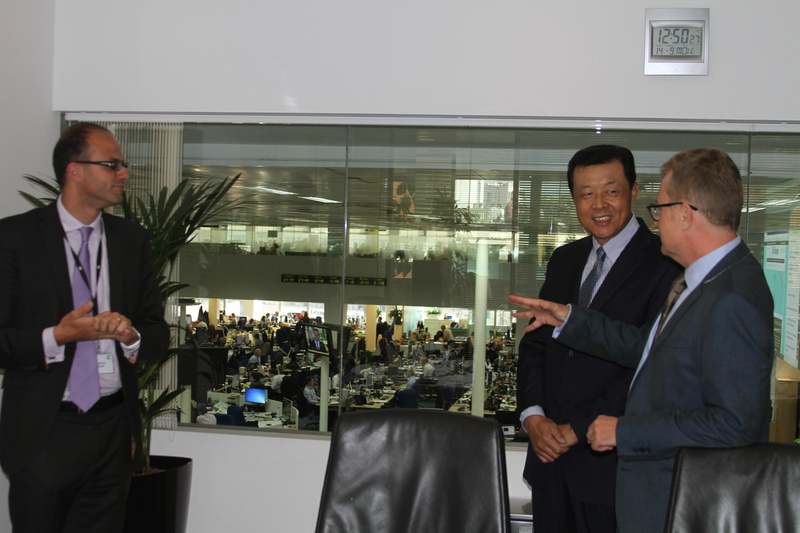 On 14 September, 2015, Chinese Ambassador Liu Xiaoming visited the headquarters of Telegraph Media Group at the invitation of Chairman Aidan Barclay. Group Director Howard Barclay, Chief Executive Murdoch MacLennan, and Editor Chris Evans and Deputy Editor Allister Heath of the Daily Telegraph accompanied the visit. Chinese Embassy Spokesperson and Minister Counsellor Zhang Yangwu was also present. Ambassador Liu said that Telegraph Media Group, the Daily Telegraph and the Sunday Telegraph have a vast number of readers in the UK, Europe and North America. In recent years, the two newspapers have increased input and expanded coverage on China-related stories and have played a positive role in improving the understanding of China among the western public. 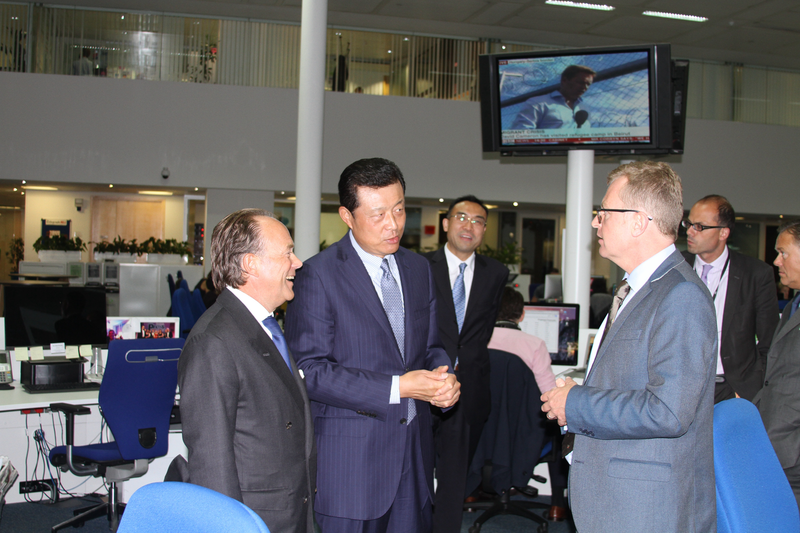 China has attached importance to developing a partnership with the Telegraph Media Group and the two newspapers. He hoped that the Telegraph Media Group and the two newspapers will keep in mind the overall picture of development in China, report on China in a comprehensive and objective manner and show the world a real and constantly developing China. Chairman Barclay and others said that China is one of the most important and fastest developing countries in the world. Telegraph Media Group, the Daily Telegraph and the Sunday Telegraph will continue to pay close attention to and carry out positive coverage of China, and are willing to continue to strengthen cooperation with China in this respect. Upon request, Ambassador Liu briefed his host on China's economic situation and the latest development in China-UK relations . Telegraph Media Group is a media giant in the UK. Founded in 1855, the Daily Telegraph is one of the most widely circulated newspapers in the UK with the highest daily circulation of 1.1 million and with the number of internet readers reaching 60 million per month. Most of the readers are from the UK government, parliament and business, culture, law and education circles. The paper often carries articles by British and foreign leaders.